Scroll down to see how our wheels foldup and surf our site to see how the best folding wagon/cart in the world works. Hang it, stow it, use it...To buy our products click here for info. Are our folding wagon/carts the top, best undiscovered wheeled inventions? Hard to say. Our fold flat wagon designs have been rejected by more companies than rejected the Beatles (perhaps 22 co's rejected the Beatles) although we have signed patent license agreements with great companies, like Radio Flyer wagons and other companies. We are still waiting for the savvy wagon distributor to distribute our best folding wagons, but till then you can buy the Pancake flat wagons from us online. Fold Flat World Products Carts and Wagons Pancake Wheel: read our blog on the best, fold up, compact travel carts, wagons, strollers, joggers and more! 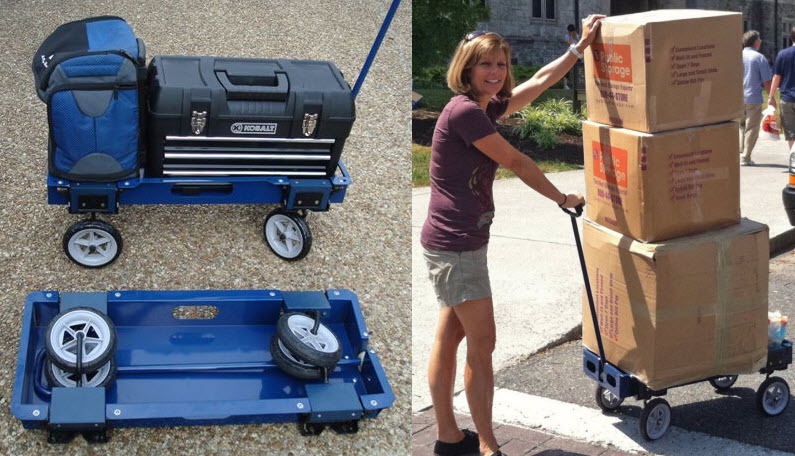 The world’s thinnest folding solid base carts and wagons, over 15 U.S. patents and counting. View Pancake Wheel’s Youtube videos on our best folding carts, folding wagons.